Football superstar Lionel Messi has married his childhood sweetheart in a ceremony described as the "wedding of the century". 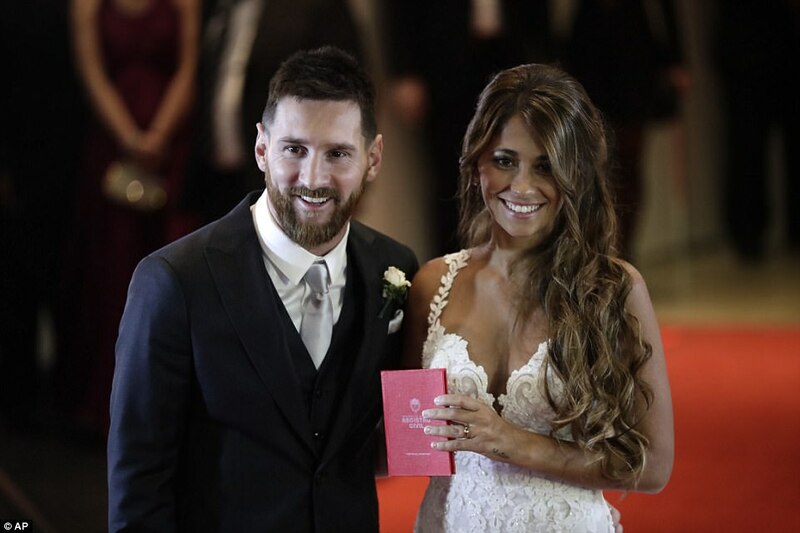 The 30-year-old and longtime partner Antonella Roccuzzo returned to their hometown of Rosario, central Argentina, to marry at a luxury hotel. 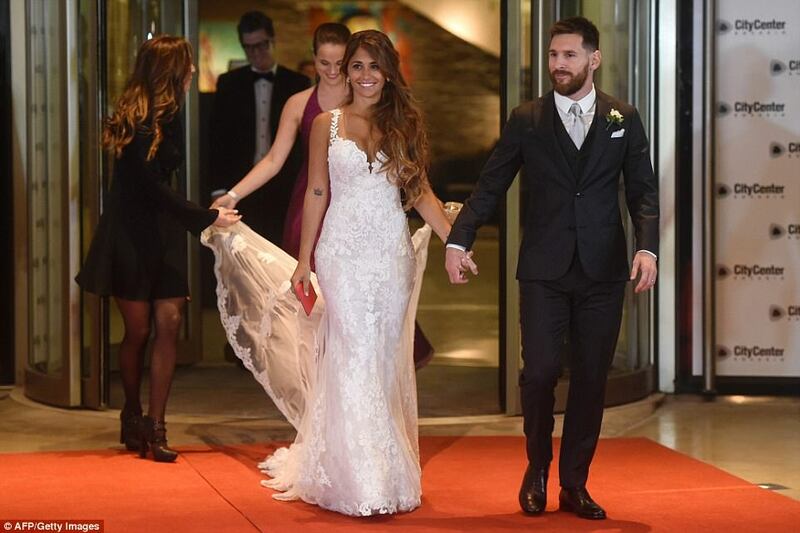 Among the 260 guests who attended were Messi's Barcelona teammates Neymar, Luis Suarez and Gerard Pique, who was joined by his pop star wife Shakira. Chelsea playmaker Cesc Fabregas and his wife Daniella Semaan were also at the ceremony. Hundreds of police were deployed to patrol what Argentinian media called the "wedding of the century", as locals, TV crews and reporters gathered outside to catch a glimpse of the guests. Messi and Roccuzzo kissed as they posed for pictures outside the venue. The bride wore a gown by Rosa Clara - a Spanish designer who has dressed actress Eva Longoria and Spain's Queen Letizia. Roccuzzo, 29, is the cousin of one of Messi's childhood friends and the pair met at a young age. 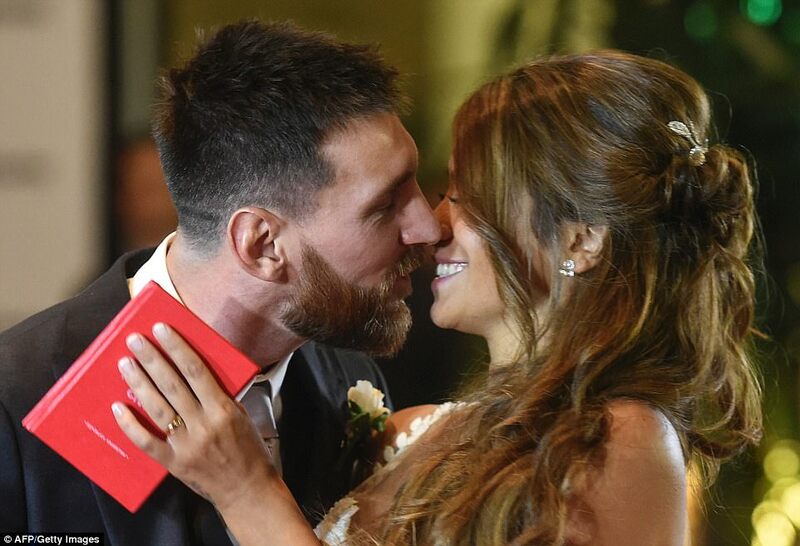 They stayed in touch after Messi left Rosario to sign for Barcelona at the age of 13, later becoming a couple in 2009. The pair live in Barcelona with their two sons, Thiago, 4, and one-year-old Mateo. Instead of wedding presents, the couple asked their guests for donations to a children's charity. "They are the love of each other's lives," Messi's childhood friend Diego Vallejos said. 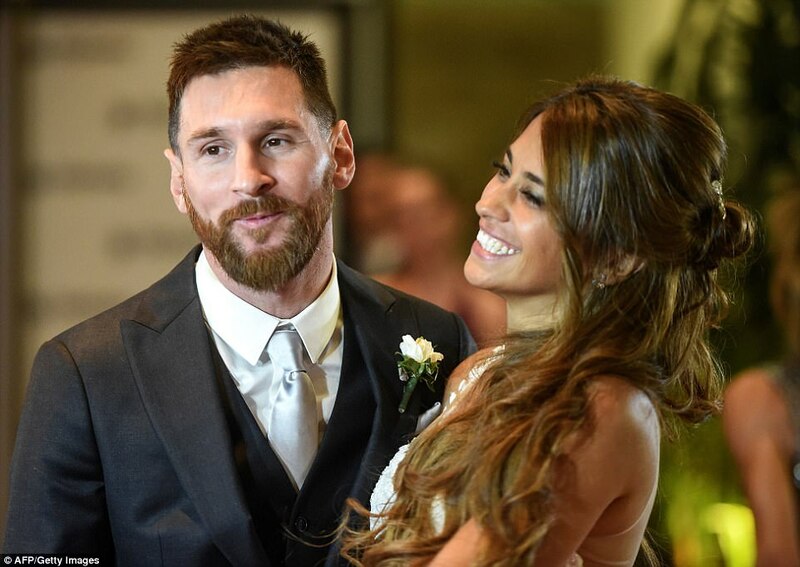 Mr Vallejos, who was invited to the wedding, added that despite Messi's stardom the 30-year-old "was always the same and never changed".